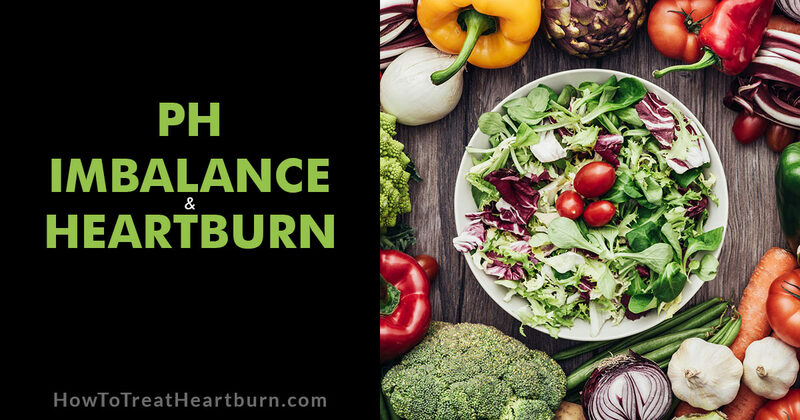 Is pH Imbalance Causing Your Heartburn? 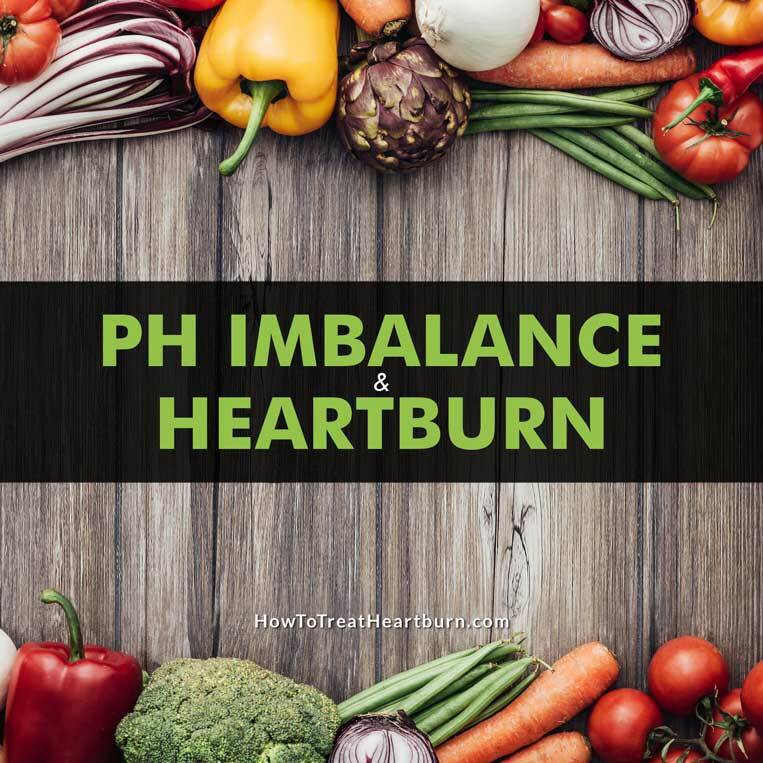 Home Is pH Imbalance Causing Your Heartburn? Maintaining a proper pH balance can make a huge difference in your overall health including the elimination of heartburn and acid reflux. The pH scale ranges from 0 to 14. Lower numbers are higher in acidity. Higher numbers are higher in alkalinity. Neutral would be 7; neither acidic or alkaline. Pure water is completely neutral at a pH of 7. Our bodies are primarily water and should be slightly alkaline to stave off many chronic illnesses including heartburn. 1. Your body functions are dependent on tiny electrical signals sent along the neural network. This electrical current is enhanced by having a proper pH. Being too acidic will negatively affect this current and thusly the performance of organs including your digestive tract. 2. Lower pH levels cause lower oxygenation. This lack of oxygen negatively affects the functioning of the digestive tract causing the digestive process to slow down. The longer food takes to digest the more acids build up causing a greater risk of heartburn, as well as acid reflux due to the pressure of stomach contents on the lower esophageal sphincter (LES). Being slightly alkaline allows for proper oxygenation making for a more efficient digestive process. 3. Some researchers believe that acidic foods may add to the acid levels in your stomach and lead to heartburn. They encourage the avoidance of acidic food, so antacids aren’t needed later to neutralize stomach acids. Whether this is correct or not, alkalizing foods help get the body to a proper pH level allowing the digestive tract to operate efficiently. 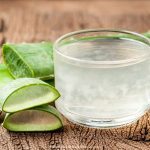 Knowing your pH level can be important in pinpointing whether an imbalance in alkalinity is causing your digestive tract to perform poorly leading to heartburn issues. A healthy blood pH is a level of 7.36 to 7.45. Different areas of the body have different pH levels. For instance, a normal pH for the stomach will be between 1 and 3. We can easily test our saliva and urine with pH test strips that can be found at your local pharmacy. All you do is activate the strip with your fluid and compare the reading to the chart on the strip’s container. A healthy pH level measured by saliva is in the 7 to 7.4 range. To test saliva, you can spit on the strip. Try measuring your level first thing in the morning before drinking anything or brushing your teeth or two hours after eating or drinking anything. Urine pH levels should be 6 to 7. It will be on the more acidic end (lower number) in the morning and higher pH in the evening. Urine can be tested by urinating on the strip. Because of variances in our bodies and diets, it will take a week or more of testing to get a good idea of your level. Continue testing daily if your levels aren’t in a proper range. This will help you understand how to adjust your diet and consume more alkaline foods for proper balance. 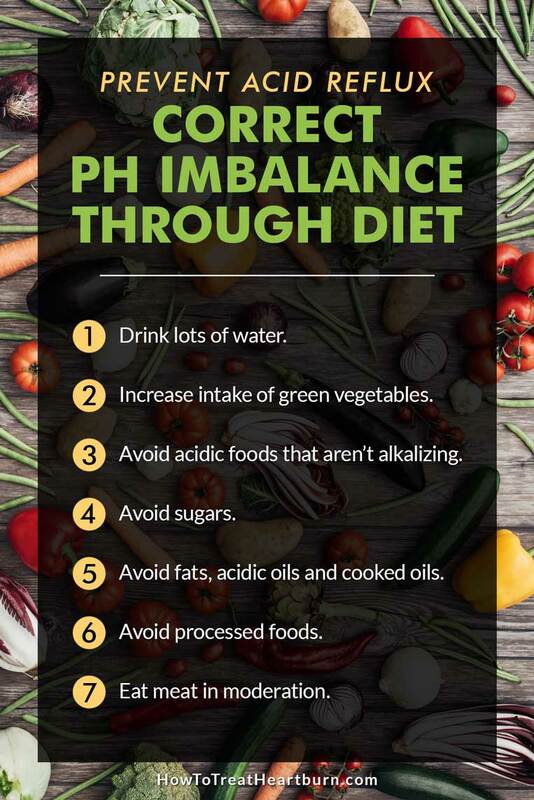 Poor or acidic diets can cause a pH imbalance that can lead to heartburn and many other chronic illnesses. When the body is acidic it pulls alkaline reserves from our organs and bones in an attempt to neutralize the acid and maintain a balanced pH. 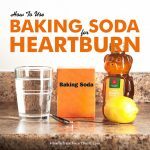 There’s a debate of whether negative emotions like anger and frustration cause additional acid in the body or just make us more sensitive to the discomfort of heartburn and acid reflux by accentuating the pain. So reducing stress in our lives may help bring our pH into balance. It sure can’t hurt. When you eat an alkaline diet the body doesn’t have the need to pull from our alkaline reserves. 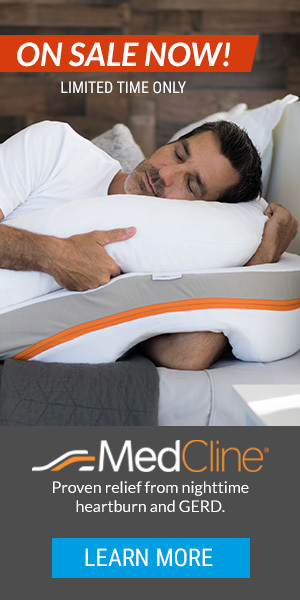 This allows our bodies to operate more efficiently. Not only do we avoid damaging bones and organs from the pulling out of minerals to neutralize acidity our bodies are better oxygenated. 1. Drink lots of water! Pure water is neutral and can flush out toxins that are acidic. 2. Increase your intake of green vegetables. The darker the better like kale and broccoli. Green drinks like wheat grass, barley grass and alfalfa are a great source of alkalinity too. 3. Avoid acidic foods that aren’t alkalizing. Alkalizing foods are those that convert to alkaline in the digestive process. Most fruits are alkaline forming even though they are acidic. When eating fruit, some less acidic fruits would be bananas and melons. Avoid or limit acidic fruits that don’t convert to alkaline. Some of these would be blueberries, cranberries, and currants. Lemons are alkalizing. They may be acidic but they break down into an alkaline. Drinking lemon water or at least putting a lemon in your water can help. Apple cider vinegar is alkalizing. Mixing 2 tablespoons in a glass of water for its alkalizing benefits. Or if your LES is open allowing acid to reflux, you can swallow the apple cider vinegar straight or lightly diluted in water to help close the LES. The burning you will feel drinking apple cider vinegar is what helps the LES to tighten. 5. Avoid refined sugar, and fruit should be eaten in moderation due to its sugar content. 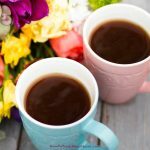 Sugar metabolizes into acid adding to the acidity in the body. Another sugar side effect is that it feeds candida when acidity in the bowels are low. Candida can negatively affect the digestion process. 6. 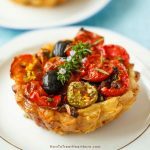 Use less acidic oils like olive oil. 7. Avoid fats, acidic oils, and cooked oils. 9. Cut back on meats. Meats break down into acid. Less fatty meats like fish and skinless chicken would be a better than beef. 10. In addition to these, avoid your heartburn trigger foods. Many of these are most likely acidic.